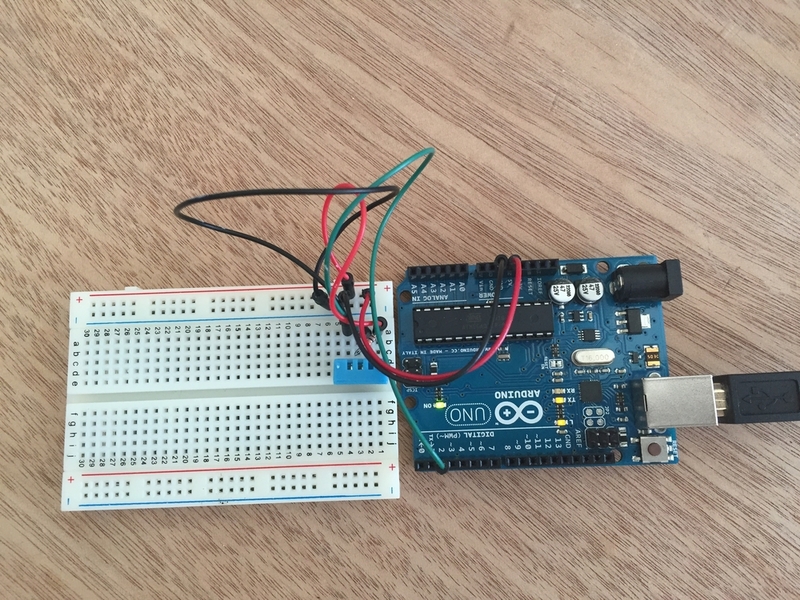 Jimmy Tang has been working on the hardware functionality and developing the code base to send the data from the sensors over a wifi-shield to a MongoLab database. The sensors are now functioning with the wifi shield. My collaborator on this project Jimmy Tang developed the Front-End UI for the Smart Spirulina System. 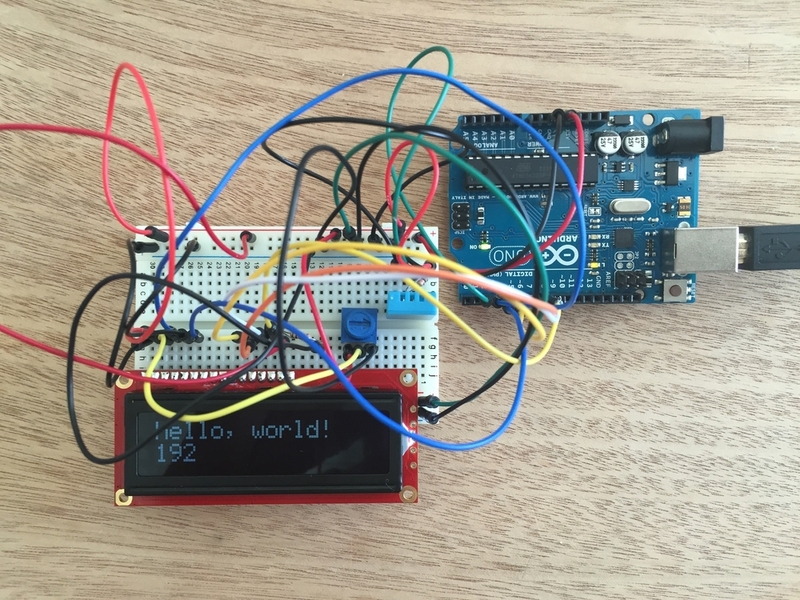 I put together a data-set of “simulated data” in order to begin to write the code to read-in this data from the Arduino. The data set is made using JSON formatted data. Now that my server-side code is pulling from a JSON file, once the sensors/hardware are fully functional, it should be a very simple exercise of sending the data from Arduino to the MongoLab hosted database and then sending it to the client-side (web-site). This article is very inspirational in thinking about actually harnessing the power of plant communication. I think further research could be done in this area and may prove to be a fertile ground for truly understanding distributed networks and cooperative systems. Understanding how plants communicate may solve many of the problems we humans will face in the age of the anthropocene. This may be the key to solving our food and energy issues. A grow system for the cultivation of large amounts of Spirulina and a distribution system to allocate to Spirulina Bottles on the surface of the sphere. 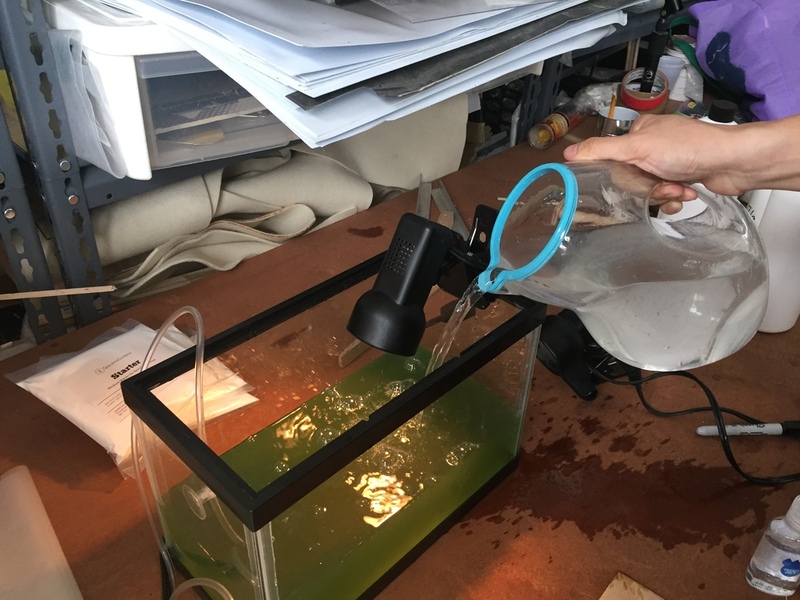 A "digital monitoring platform" that can (a) relay specific information about the growing conditions of the Spirulina directly to a user's smart-phone or desktop and (b) create an Internet of Plants by providing a public and free REST API. The Smart Spirulina System will be incorporated into the rotegrity sphere. How feasible is it to raise Spirulina for food in an urban environment? How much Spirulina (as food) will the Urban Farm Pod System produce on a daily basis? 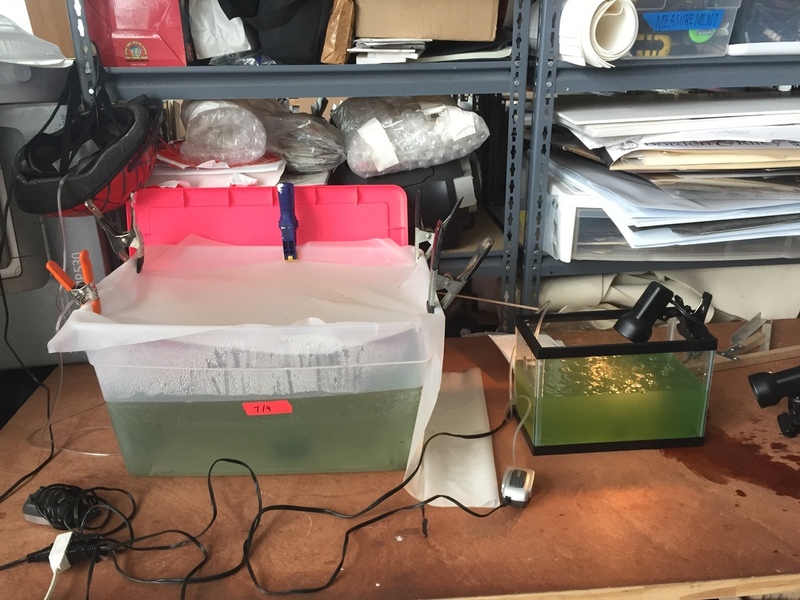 What is the optimum environment to produce fresh Spirulina in an urban farm setting? 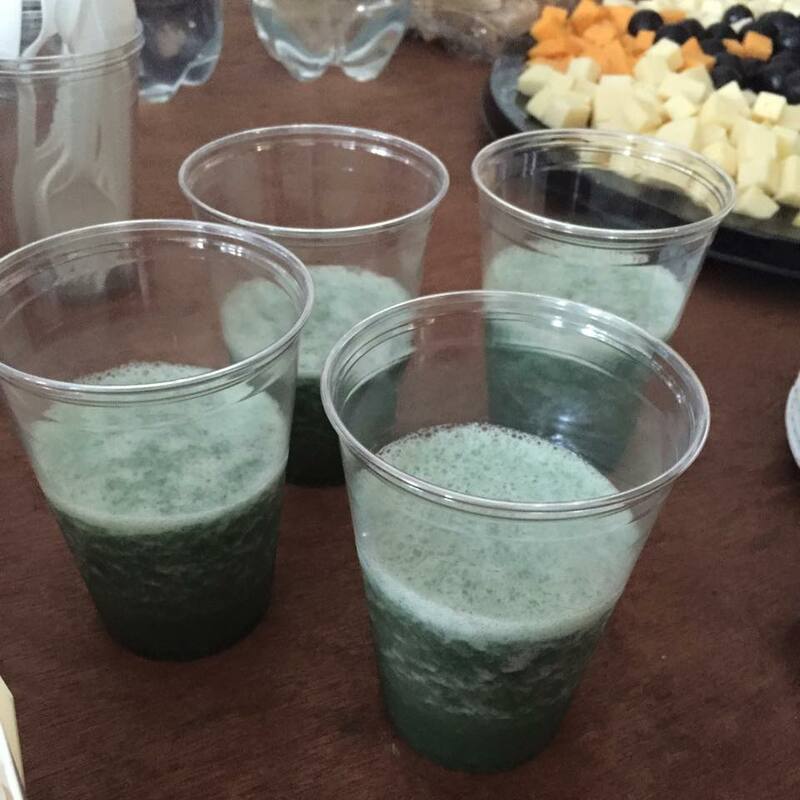 How efficient is Spirulina in terms of providing nutrients into the human diet? What types of food product can we make with our Urban Farm Pod System Spirulina? What can a networked living system (i.e. 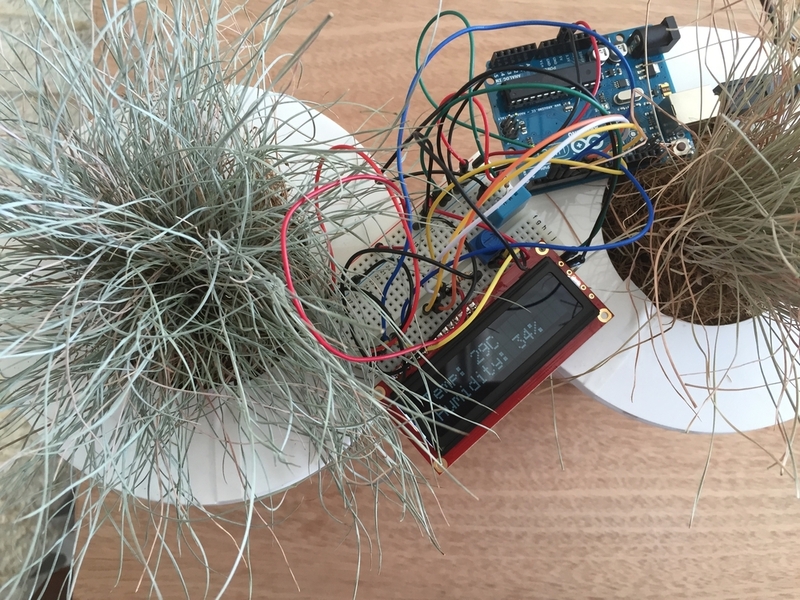 internet of plants or smart systems) tell us about growing gardens and food? How can the pod behave more like a living system, i.e. a cooperative, system that shares resources and communicates? Can networking/data monitoring assist in this process? How can monitoring-at-a-distance (iOS or web) benefit users of this system? What can we gain from having sensors/data monitoring? What do we do with this data? We are continuing to develop the system of plants into the Farm Pod and are testing various hardware systems and databases. Preliminary prototypes of the hardware system using an Adafruit Temp & Humidity sensor. Readings being sent to an LCD Screen. Next step will be to send data over wifi to a data base. I am working with Jimmy Tang (http://siuhim.com/) to construct a networked plant system on the surface of the Urban Farm Pod. I will be concentrating on the software and collaborating with Jimmy on the hardware implementation.